OHAUS Mini Hotplate Stirrers are rugged, compact units that can heat and stir up to 1000 ml of water. These stirrers are ideal for educational and other lab environments that require consistent stirring. 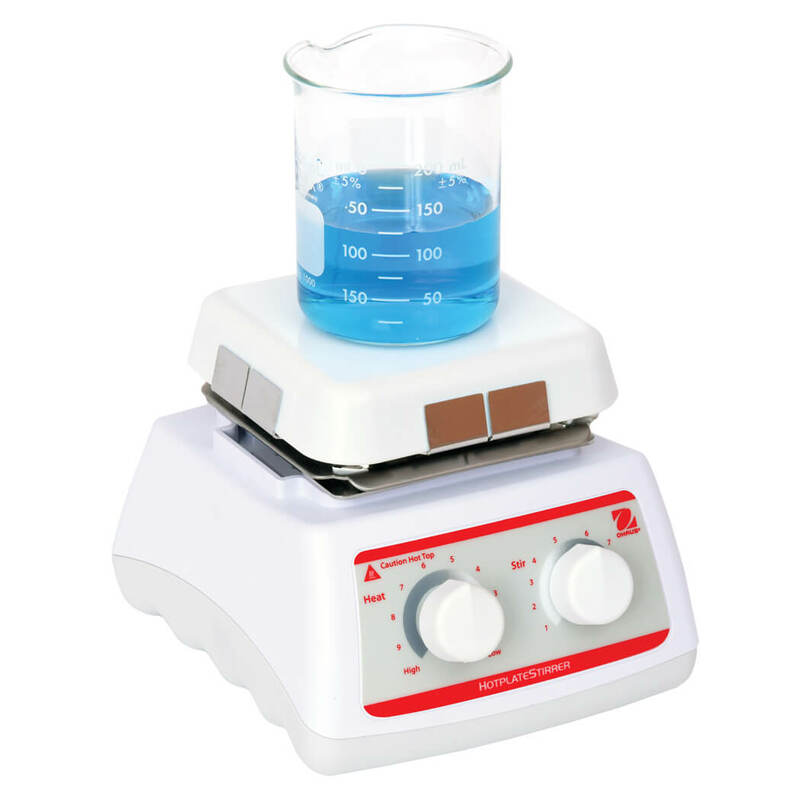 Models include Hotplates, Stirrers, Hotplate-Stirrers, Fixed Temperature Hotplates and Auto Stirrers. All models feature a 4x4 inch (10.2x10.2 cm), easy-to-clean ceramic top plate and cool-touch housing.